When the user selects an item from the drop-down list in the browser, the defined edit controls will be filled with the corresponding values of the data fields mapped here. The "Data mapping" needs to be active for this. All edit elements from the page will be listed here. All available data fields are listed here. 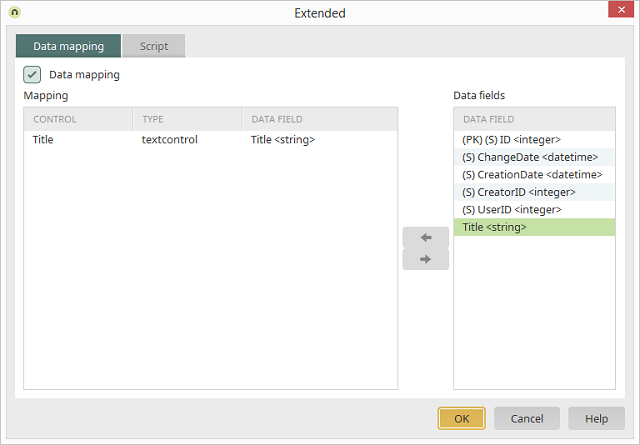 Creates the mapping of a data field to a control or removes a mapping, respectively.